On this day in 1984, Japanese adventurer Naomi Uemura disappeared while descending Mount McKinley after a solo climb. A shy youth, Uemura began climbing as a way to build confidence. He quickly achieved many firsts: the first person to reach the North Pole solo, the first to raft the Amazon solo, and the first to climb Mount McKinley solo. After an initial successful attempt to climb Mount McKinley solo, which Uemura completed in August 1970, he decided to take on a new challenge, trekking across Antarctica and climbing that continent’s highest peak, Vinson Massif. In preparation, he decided to climb McKinley solo again, this time during a brutal Alaskan winter. Uemura packed lightly for the journey, keeping only an 18-kilogram pack and a sled. He kept no tent, planning instead to sleep in snow caves at night. He also kept little fuel and decided not to heat his food. Uemura began his ascent in early February 1984. He reached McKinley’s peak on 12 February, where climbers later found a Japanese flag he planted at the top. The next day, Uemura radioed Japanese photographers flying over the mountain, communicating that he had reached the summit. He said he had descended to 5,500 metres and was planning to reach base camp in two more days. The next day dawned windy and cold, with temperatures around -46 C. Planes flying over the mountain could not spot him, but the next day he was spotted at around 5,100 metres. At this point, Uemura was likely running out of fuel. Still, no one wanted to send a search party for him for fear of offending the renowned solo explorer. By February 20 the weather had cleared but no one had seen Uemura. At that point, two climbers were dropped to the mountain at 4,300 metres to begin a rescue search. They searched for days, until 26 February. They found signs that Uemura had stayed in a cave, but found no signs of the climber himself. A diary had been found in the cave, along with Uemura’s self-rescue poles, which he had left to lighten his load. Later, a group of Japanese climbers arrived to search for Uemura’s body. It was never found, and most people believed he had fallen on his descent, gotten injured or immobilized, died, and was buried under the snow. Another theory is that he fell into a crevasse and perished. He left behind his diary, however, at 4,300 metres. 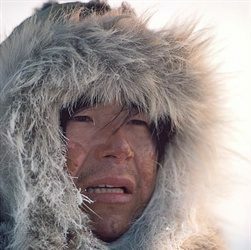 It sheds light on Uemura’s difficult climb, from the crevasse falls to the -40 C weather, inadequate shelter, and frozen foods he had to eat without fuel. Nonetheless, Uemura seemed to have kept himself in good spirits, even documenting the songs he sang to cheer himself and stay focused. Photo Caption: A shy youth, Uemura began climbing as a way to build confidence, and achieved many firsts.